Alex J. Cavanaugh: Insecure Writer’s Support Group and A to Z Challenge – A – Cult Classics! 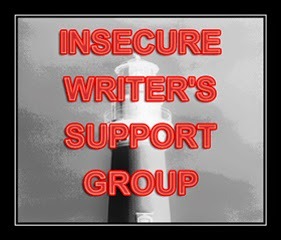 Insecure Writer’s Support Group and A to Z Challenge – A – Cult Classics! Double shot today! The A to Z Challenge kicks off with A and it’s IWSG post day. My awesome co-hosts today are Suzanne Furness, Tonja Drecker, Toi Thomas, Rachna Chhabria, Fundy Blue, and Donna Hole! My insecurity is that there is so much happening today!!! 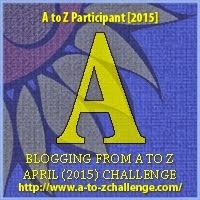 First day of the A to Z Challenge. CassaStorm goes on sale today! 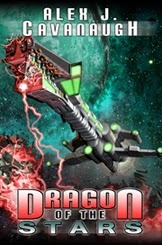 To prepare for the launch of Dragon of the Stars next week, my publisher is dropping the price to .99 cents today through April 4 at Amazon. (And if you would prefer the ePub version, it's also .99 at Dancing Lemur Press.) CassaStorm is my highest rated book, winner of the Pinnacle Achievement Book Award, and an eFestival of Books 2014 Winner. Less than a week until Dragon of the Stars is released! One of the most mind-bending Japanese anime films you will ever watch. Released in 1988, it is considered a landmark anime movie. Equally mind bending, this 1980 film was an adaptation of Paddy Chayefsky’s only novel and directed by Ken Russell. It marked the acting debut of William Hurt and Drew Barrymore and won two Academy Awards. Ushered in new singer, Brian Johnson, with a bang – the album sold fifty million copies and is one of the highest grossing album in history. It went Quadruple Platinum with five hits, including Would and Down in a Hole. It’s one of the most influential albums of the 90’s. One of his earliest books and the first to become a movie, it established Crichton as a genre writer. Classic mixture of fantasy and science fiction, it was adapted into a movie and a DC comic series. You want some edgy snark with a conservative political twist? Want some funny captions? Then Al is your guy! A former member of our military, Al is also an author. Want some of the best writing advice on the Internet? Anne (along with New York Best Selling author Ruth Harris) offers a detailed, in-depth look at the world of publishing. Dragon of the Stars comes out April 7, 2015! And just a few days left to join the Thunderclap campagin for the book! Are you participating in the Challenge? Do you remember those cult classics? Following Al and Anne? Figured out the Kargrandes? What are your writing insecurities today? And who wants to trade places with me today…? Hi Alex, surely I'm not here first!! So much going on today but hope you manage to enjoy the buzz. We're all right behind you! Link to sale duly tweeted. Have a good day. I remember the Andromeda Strain. Lots of great stuff here, some new to me too. Oh, and you gotta love our pal Al… you pegged him well! I'm in the A to Z again this year and worked hard to pre-plan. Research is done and a few scheduled. Best wishes for the latest book on your horizon. . .destined to be another Best Seller! I like the way you've diversified with the Alpha topic. You do have a lot going on. Just do what you can and don't worry about the rest. Wishing you luck. I remember seeing Akira while at Uni and not really getting it all :). I have it on DVD and I must get round to watching it again to see if it makes any more sense this time. My husband would definitely agree about Back in Black - he is a big AC/DC fan. Hi Alex! Nice to not be No 100 this time! I've tweeted your book. It's definitely going to be a busy month for you. I wish you every success (even though I'm not in Alex's Army roll). You might be feeling insecure, but the army of fans cheering you on are confident that you are going to nail all of your challenges for the month. I'm a Sci-Fi geek and Altered States is one of the classic science fiction movies of my childhood - along with Close Encounters and Star Wars (of course!). William Hurt pounding on the walls trying to stop his transformation is one of my favorite Sci-Fi moments of all time! Great list! What a month for you Alex? Great topic for the A to Z,one can only look forward to the next 25 post. The Insecure Writers is as always a good group to belong to all down to you. Thanks. Anne and Al are both already on my blog list. I've tweeted your promo and shared to Google+. Now here is a nice change, I actually know many of your "A" choices, and you even picked one of my favorite books. I tweeted for you. BTW - If anyone can do it, you can. Just remember to breathe. Countdown to the big release! Excited for you! I do remember a few of these cult classics...albums and Akira. And Crichton's book, too. I did well today! None of this is known to me, except Akira. I have heard of it, not watched it. Your A to Z posts keep evolving, as impossible as that might seem. Nice start to the challenge and I do feel for you with the intense work load you will have this month. Hey but, I am sure your many clones will be there spreading their magic. lol. Hi Alex - yes .. can believe your insecurity! Though could be an April Fool - but please wake up .. it isn't! Good luck with all your commitments this month .. I've seen AC/DC somewhere else this morning ..
Wow. You DO have a lot going on today. I'm out of breath just reading everything happening in your life - at least it's good! You've got it all under control, my friend, so keep at it up! Suzanne, you were first, and thanks!! DG, something for everyone I hope. Natasha, it probably still won't make sense, but maybe just a little less confusing. Thanks, Denise! And I will fix that at once. Rhonda, I scored. And thanks. Carolyn, I'm going to work them hard. I remember Akira, but have only seen it once. Wasn't really my thing, but it was beautifully drawn. All the best on Dragon of the Stars! Hang in there. You'll get through this busy time. You're pretty amazing at handling everything. You are the best! I too love to read Al - snarky is the right word! Congrats, Alex. Hope you have tons of sales.You deserve it for all your hard work. Of course, I don't know most of the Classics you've posted about. Multitasking is not usually a male trait, but you can handle it. You've done great with the promo for the new book. My parents certainly remember AC/DC Back In Black. They finally bought me a decent pair of headphones so they wouldn't have to hear it! Great films, great music... it's fun I am going to see which ones I have to the ones you posted... so far two for two.. Welcome in the "A"... thank you! Remember to breathe, Alex! Great picks on all fronts. Have to love the classic riff on the song Back in Black although I haven't heard the album. Good thing you took the day off for this. I hope you can keep up the rest of the month! Alex nice to see you again on this blog hop. :-) I love the album Back to Black- good one. Tweeted away at my bay. Back in black is a good one. Altered states is messed up, been a while since I watched that one. Heard of Akira but never watched it. A is for "Alex", right? I do remember the movie Altered States, but I don't know if I liked it or not. That's just been too long ago. AC/DC is just too heavy for me. Sure I'm following Al and Anne! My insecurities this month is, will I fizzle out before the A2Z challenge is over or not? I shakin' in my chair. Have an awesome day! I LOVE Altered States. Just a fantastic movie. I really need to rewatch Akira. I was too young when I saw the first time. Back in Black and Dirt are two fantastic albums. Two bands that have lost a lot of personele over the years. I am REALLY going to enjoy your posts this month! You can do it! I always say that the nice thing about a day is that it does come to an end. And this will be a great day ;) Can't wait for April 7th!!! Yes, one heck of a lot going on today. I don't recognize any of your recommendations, except Al. But that's why I come here, to learn. Thanks. Wow, I'm tired just reading everything that's going on. Good luck with everything. I remember watching Altered States, it was definitely mind bending and The Andromeda Strain is a great read (and movie). Good luck with the sale! That's great. :) I'll help spread the news! Sorry, Alex, I don't want to trade places with you (but you can come teach my classes, if you'd like). Great post (I love The Andromeda Strain...just sayin'). You have a whirlwind day today! I hope you survive the crush. :) Congrats on your new book. You've been an inspiration to many, many people and a wonderful friend! JL, I've had to learn. Pat, thanks, and that he does! Manzanita, I'll try not to let you down. Don't believe I've ever seen Akira. Sounds like I need to watch. All that plus read your emails!! WOW--just ordered your 99 cent book. Yes, I've heard so much about it, I decided to expand my reading horizons. Not a genre I usually read, but your sale hooked me. I admit I'm a bargain hunter. Will spread the word on FB and G+. No tweeting for me. Have a fantastic, busy day. You know you love it, Captain! I've read a couple Michael Crichton books, but not the other one. This will be good. My son likes sci-fi/fantasy and is always asking, "What should I read next?" I'll be sure to get him a copy of Dragon of the Stars. He liked your other books. Congratulations on the awards for your book, Alex! Way to go! For the A to Z Challenge, I'll pass for this year. Working on some things. Hope to join next year. Ah yes, Back in Black is a classic! Gotta love classic AC/DC! Rock on! I have a similar IWSG today. So much going on. Good luck with the Amazon promo. I'll check out Twitter and Retweet for you. Yay on your new book rolling this way. Lots of good news in your post, including books, albums and movies. I'm pretty sure that I've joined the two bloggers you mentioned. Ok, here we go, people!!! Good luck with getting through today... don't be insecure... you know you'll do mahvelous, dahling !! Tweeted about your book. It's climbing up those Amazon ranks! Have a great week! I haven't heard of the movies, but help AC/DC with that sales record by purchasing the album. Aden sounds like a great character. It's nice to meet him. You're taking busy to a new level! best of luck with the sale and new release. I remember AC/DC. Have a great April! You are a trooper, Alex. That's a lot to cover! I loved Altered States. Watched it dozens of times on Showtime. You are busy, but what fun. Good luck with the book sales, I will tweet about it. You have a hectic day today, just thinking about it is making me dizzy. These are some great choices! I got really into Alice in Chains as a teenager, so I've listened to Dirt countless times. I also remember reading The Andromeda Strain, along with a lot of Crichton's books, when I was around twelve or thirteen. This is definitely a busy day for you, but I know you can do it! Back in Black is still my most loved album. It's my JAM! And I can't wait to meet Aden! P.S. That's my insecurity too! You don't do anything by halves, do you? Most people pick ONE thing to feature each day of A to Z, not SuperAlex - he gives us a whole library of them. That Back in Black album cover always makes me smile - conjured good memories from my childhood when I thought I was so, so cool. Excited for the big release next week! JQ, thanks! I think you will enjoy it and really like the character of Bassan. LG, you should pick up their latest album - it's good. Take a deep breath. You can do it, Alex! I do like these movie flashbacks. It's been years since I've thought of those. We're off to a good start at the Untethered Realms blog with the Challenge. The commenters will get us all commenting on their blogs in return. 14 comments for commenting on ours once! Good luck today. You have a LOT going on this month, Alex, don't you? A to Z, IWSG, a book release. Wow. I'm impressed! Lots of respect for you, man!! You've definitely got a lot going on today! I actually haven't seen either of those movies. Looking forward to more of your cult classics! Yes I'm in the Challenge!! I put a badge for your book on my main blog and my joke blog! Altered States and The Andromeda Strain were favs of mine. Love your theme, Alex! Best of luck keeping up with it all. You are a true inspiration! It's been YEARS since I've seen Altered States and Akira. I definitely need to see them both. Andromeda Strain was a book that I started and stopped over and over again. All that science technical talk in the beginning made it tough to get into. But once the story took over, I was hooked. Alex, or should I call you Superman? Good luck, dear man. If I could trade with you, I would (NOT). Captain, don't worry. The world will know! Good luck with managing everything you've got to do this month! I tweeted, so please don't implode! Count down to launch and explode into space instead. Anne's blog was one of the first I found and loved--via twitter. Cute dancer bot! I couldn't trade places with you because I couldn't do what you're doing. Aden is a perfect example of character growth through a novel. And I am familiar with all your A classics and that makes me feel old. You're doing this for 25 more posts! YOU'RE A MACHINE! I knew it! I'm gonna start calling you Bishop! Excellent books, I saw one of these movies, great music and wonderful bloggers! Well, we're off and challenge is already amazing with all who've signed up. Congrats on the book. And will you please tell us what those Kargrandes are? I am so excited about your Cult Classics posts! I love that you are introducing me to new cult classics to explore. I love discovering why movies/books/films become cult classics so now I'll be able to join the ranks of many and appreciate these great works. Fabulous theme and I'm really looking forward to your posts every day Alex. Excellent bloggers to highlight. Black in Black is a favorite album of mine. AC/DC came to Charlestone, WV when I was in college...a mere half hour away from where I was going to school, but I was too poor to buy a ticket. How sad is that? I should have gotten one of the credit cards they were always peddling in the quad and gone, but I was sensible. Busy day all round today. I'm busy and I don't do ISWG or write books. The clones must be working overtime. A lot of what you mentioned I have never heard of, but remember the Andromeda Strain, it was a good story and also At the Earth's Core. Sorry, no tweeting. Read Andromeda Strain but saw the movie first. I was about 12 and it blew me away. I'd never known how detrimental being color blind could be.... Congrats on the Dragon soon to arrive! I can't wait! Now I want to see Alterd States. I didn't know it was Drew's first film... I did a double hit today as well and am busying visiting everyone I can! Lisa, co-host AtoZ 2015, @ lisabuiecollard.com Don't forget to BREATHE today!!! I love Anne's posts. No A-Z this year, but doing National Poetry month (behind the scenes...no sign up) as I too, am in panic overload control mode. Yes, I think the A is my favorite Alice in Chains, very nice !! Christine, that's a lot of commenting. Susan, thanks, and we'll feel old together. Lee, you get a good hint Friday. Elizabeth, sorry you missed them. Diane, that made me laugh! I rewatched Akira recently and found it surprisingly entertaining even after so much time has passed. I think being animated keeps it from being so "dated." I remember seeing Altered States. I think I liked it...haahaa...I forget, it was so long ago. I'm excited for you!!! 6 more days to your new release!!!!! No A to Z for me. I have enough trouble just remembering when the first Wednesday of the month arrives! You know, I've been a huge anime buff since the early 90s, and i've still never seen Akira. I know. Good luck with A to Z. I'm a little sad I'm not participating this year, but I figured it was better to bow out than to be completely overwhelmed. Maybe next year! Yeah me too, two blogfests, two posts, what fun! I'm making friends on AtoZ! Only 99 cent for Cassastorm! So snapped up, thanks Alex I'm looking forward to reading it on Kindle Cloud Reader. I would not care to trade places with you, Alex. You're too busy! I did tweet your CassaStorm sale (and finally got my own copy for my Kindle). Of your cult classics, I most remember the Crichton book. I've read almost of his novels. You've really packed a whallop in this one, Alex! We all know no one could ever take your place! It's great to see Al here. There's always something fun in store at his blog, and he's a very supportive blogging buddy! You'll definitely have a whirlwind month, Alex, but it will all be worth it! Oh, and don't worry about visiting me, as I know how swamped you'll be. Wow! How cool! Thank you. I'm just not a terribly successful author. Unless you count those limericks on the stalls in the Burlingame Campground in Rhode Island. Wow, Alex, you have a lot going on. It makes my head spin. :) But if anyone can do it, you can! I hope you have something relaxing planned after all this month's craziness is over. Good luck with all that you have to do. I'm sure the month with be productive and bring you much success. Insecurity today: will I keep up this month? Julie, I will still visit. Al, you're welcome, and thanks for the laugh! You do have a ton going on today. I tweeted hoping to spread the word of your book sale. Good luck with everything. Off to visit some new bloggers you mentioned. Thanks so much for the shout-out Alex! I sure am honored to be in such amazing company! THE ANDROMEDA STRAIN was my introduction to Michael Crichton. He was a pioneer in sci fi. I always like Akira, though GHOST IN THE SHELL: INNOCENCE is my favorite anime film. Whew! April is going to be one wearying month for you! My husband's a big AC/DC fan. They've had some significant changes recently. He's hoping to take our older son to see them at some point. Happy A to Z Challenge-ing! I like how you combined the two logos at the top of the post. I heard that a lot of younger people like AC/DC, that was a great album. Good luck on this busy day. Hope you sell bunches. Thanks for your comment. Working on the immune issues as I type. Take care and enjoy your month-long of posting. I've met Al once or twice - he is a scream! Anne is a gem - so knowledgeable. You do have a lot going on right now! But that's exciting, right? I haven't seen any of those A movies! ACDC is definitely a cult classic. I have a lot of posts to write for A to Z and I'm busy with my Freelance writing and of course being guilty about writing my sequel so no, I can't be you but congrats on everything. Your music choices are spot on, today. Love... You are so busy, right now. I'm loving the A to Z posts! Sounds like the perfect day to implode Alex. Wishing you the best with Cassa Storm. Thanks for doing A to Z for another year! It makes me tired just to read your post. I don't know how you do it LOL. Will tweet about your sale now - good luck with it! Congratulations and I suddenly feel less busy. What a crazy day! I have been wanting to read your book and you have left me no excuse. I'm off to tweet your tweets. Good luck with the books and the challenge. Breath. Tweeted for you. Don't implode. Never heard of Akira. I remember altered states. Susan, yeah, it's a shame about Malcolm. Michelle, if I can survive today, I'll make it. RaShelle, I'd pick Alice over AC/DC any day. I have a sad admission, I have never seen Akira all the way through, only clips. I really must take the time to watch it. Great Post - Happy A to Z! Great A to Z list! Love your theme and all the cool stuff you'll be sharing. I know a lot from this first day A, but some of it is new to me. Can't wait to see more. Thanks for sharing. Oh, the A Music for the win. Love both AC/DC and Alice. Also loved Andromeda Strain. That medical variety is the sci fi I like best. Akira is great... right up until the big tentacle monster. I don't get what it is with the Japanese and big tentacle monsters. Hubby just saw Akira for the first time the other week. I remember watching it back in college. I know what you mean, I'm freaking out already! hmm, I think I'm going to look check these movies out. I haven't listened to AC/DC for a long time - must rectify that! ok! I'm in....not too sure what all I will post- but I will post! Being in Mexico the past two weeks kinda "un-organized" me.... Cheers! I know what you mean by too much happening. And still you have time to stop by and say hello. You're amazing. Have a wonderful month. I'll be stopping by in between writing. Yes, if one wants to write a book, April is a good (not a cruel) month to do it. Ain't no stopping you now, Alex! I'm cheering for you from the West Coast. Go, Ninja Captain! Go! Mini is running along side you - dang, he's a fast little guy. Kisses to him, hugs to you, and loads of excitement for your local troops. Interesting...I would define cult classics differently-having been a member of the "cult" of Todd Rundgren for nearly 40 years. AC/DC's Back In Black to me, while certainly a classic, achieved far more than a cult following (IMHO). Not that I could find a definitive definition of "cult classic" (I looked). From a film point of view, I always think 'Rocky Horror Picture Show" or "Godzilla Vs. Bambi" when I think 'cult classics.' "Altered States" certainly fits that definition. I did not realize you were going to come up with one of every category every day-that would be virtually impossible the way I would use the term-especially with music. Good luck with everything, Alex! Although Jurassic Park will remain my favorite Crichton book, I enjoyed The Andromeda Strain. You won't be able to sleep for a few days being so busy and all. My youngest brother is a big AC/DC fan. I could never get into them. I think a lot had to do with all their songs about "Hell". Big turn-off for me. I got lucky today and have access to a laptop that has made visiting blogs much easier. Tomorrow I'm heading to the library. A minion never gives up and I love it. You are a ninja Alex, hard work comes with the territory. Akira is anime royalty. It still blows my mind. Metropolis is another favourite of mine. Aden sounds like trouble, wanna read more trouble. What are the Kargrandes? Here April 7. See what I did there? Have a great day Alex and I bowed out of the challenge this year to prevent implosion. Good luck. I love all the A's you have selected one of my favorite A's is You-Alex and Arlee of course-A-Z rocks! I vaguely remember Altered States and the Andromeda Strain (though I never read the book). Was never a big fan of AC/DC (cowering in the corner), but my cousins were. FYI, the site doesn't let me ignore the robot question. Sigh. It must be me. LOL. I love that you included bloggers in your post. New people to acquaint myself with. Love it. Hugs. And I really loved Aden in Dragon of the Stars. I loved that he wasn't perfect, but likable. In the end so much stronger than I would have been in his situation. Robyn, thanks for the cheers. Thanks, Larry! Yeah, it will be a lot. And I have to use the term 'cult' a little liberally. Lee, I don't listen to those. Sheena-kay, we don't want you to implode. LOL ~ I have your insecurity EVERY day, Alex! I'm having lots of fun as I hop around co-hosting today! Thanks for all you do for IWSG members. You are AWESOME! Keeping busy as always, huh Alex? AC/DC and Alice in Chain. Awesome (to use an A word). Best of luck with this crazy month!!! But you have such wonderful helpers to help you through it all - except the stressing. Make sure Mini-Alex has an umbrella for the implosion so he can carry on wayward son :) Congrats on all the awards for CassaStorm, and all else. Will your G post be for guitar - as in another riff of your playing? I might come out of blog break for that. I did join thunderclap and will be excited to see the post on my FB time line. Have a super month Alex. Altered States was a great movie. Good luck with everything this month. excellent book choices. I know the movies, but I haven't seen them... gasp! Fundy, glad you are having fun! Lynda, really? You don't want to turn in your geek card, do you? I remember the Andromeda Strain! Hubby was the one who like AC/DC. Aden sounds like an amazing character! Good luck!!! Wow! That's a lot on your plate! I love Back in Black, my son is learning to play that song on guitar. Aden sounds like he has a lot on his plate as well! Altered States is such a cool movie. I watched it several times in my late teens and early twenties. Great choice. And, yeah, you really do have a lot going on. Just remember to take care of your physical needs; eat well, get outside, get some exercise, and the rest will work out fine. I think I will implode for you, reading all you have to do! Love AC/DC! I've seen AC/DC and Alice In Chains in concert. Alice In Chains was the opening act for Clash of the Titans and it was promoing Man in the Box. Clash of the Titans was Anthrax, Megadeth and Slayer. Awesome concert. Tweeted about your price drop! Remember to breathe! Happy to tweet! Good luck with the sale. Your insecurity made me laugh - but not in a mean way. ;) Happy April. I haven't seen either of those movies, that I know of. I still haven't read any Michael Crichton though have been meaning to for ages. Or any Burroughs. I'm looking forward to reading about Aden. Congrats on the release! Off to tweet. Maintain some semblance of sanity th.is month. I ain't really a "writer" .... but the fact that I write on my blog gives me the feeling of insecurity. More often than not, I find myself at a loss for words. English being my second language, I struggle to find the correct words (i.e. considering connotations and denotations of synonymous words). What a pity the only thing I recognize in your "A" articles is the AC/DC. I need to have some more culture in me! Haha! Akira was pretty groundbreaking animation. *Gasp* I have not seen Altered States but reading Rotten Tomatoes reviews tells me I need to rent it ASAP. Alice in Chains you gotta love! Brings me back to my childhood when there was nothing cooler. Obviously that is sci fi I have to get my hands on! Altered States was the first time I had seen William Hurt. He was so excellent in this movie that even today, when he appears on another movie/tv, I still picture him in that water and running down the street. Hi.. I'm new and I just started following you too. I signed up because a friend of mine is doing it and it looked like fun. Nice to meet you. I hope you can stop by and follow me too. Have a great day! Alice in chains!!!!!! Sorry. But yes!!! Thanks for dropping by my blog. You still amaze me. I wish I could shadow you so that I could see what a typical Alex day is like. Would you like for me to guest post you over on my blog? Email me if so, please!! You can say whatever you'd like after sharing how an Alex day is like. There is so, so much happening today! My goodness. When I woke up this morning I almost didn't know where to begin. But just gotta take it one day at a time. By the way, I love Anne R. Allen's blog. I've been following her blog for a few years now. Great stuff. And Akira is one of my favorite movies. I first saw it when I was a kid and it scared the heck outta me, lol. Which was one of the reasons why I loved it. It's a great story. You have so much going on, I am getting dizzy just thinking about everything you have to do. Love all your letter A topics. ACDC, Back in Black is from my generation. Brings back memories. Congrats on release of your new book. I will certainly purchase it. I just tweeted it for you. I haven't seen either of those movies which is surprising, but I LOVE Back in Black- one of their best albums. And I haven't read the Andromeda strain but I've watched two different variations of it and loved the story. Al is new to me, Anne I've visited- though not for a long time so I'm way overdue! Lauren, thank you! Hope you enjoy it. Susan, it was the first movie I saw him in. Elizabeth, no worries. And thank you! Lanise, thanks - I will email you. Lots of cool 'A's, Alex! You have so much knowledge about books, bloggers, music and movies, but you're doing characters from your book, too. Go You! Whoa! This post was more chalk full of info than usual. you should have also participated in BOTB just to round things out. I enjoy the flic 'Altered States' and try to watch it every few years. Holy smokes, I've seen the movies and listened to the music AND read the book! Awesome. Also, great theme! Thanks for being an awesome Ninja! Aden - a strong character who I am sure will soar new heights and find love awakening within his soul. Oh, and I actually have that release of AC/DC on my ipod. Is their drummer still in trouble or was it a publicity stunt? Back in my schooldays, The Andromeda Strain was one of those books I borrowed from the library time and time again. I found new enjoyment each time I read it. I'm hopping over to The Write Game to say hi. I never read the Andromeda Strain but I've seen the original movie; it was a solid thriller with scientists who LOOKED like scientists--average bodies and faces and pretty much middle aged. Maybe the recent remake was good, but as soon as I saw all the very good-looking actors (and so much younger) I said no thanks.